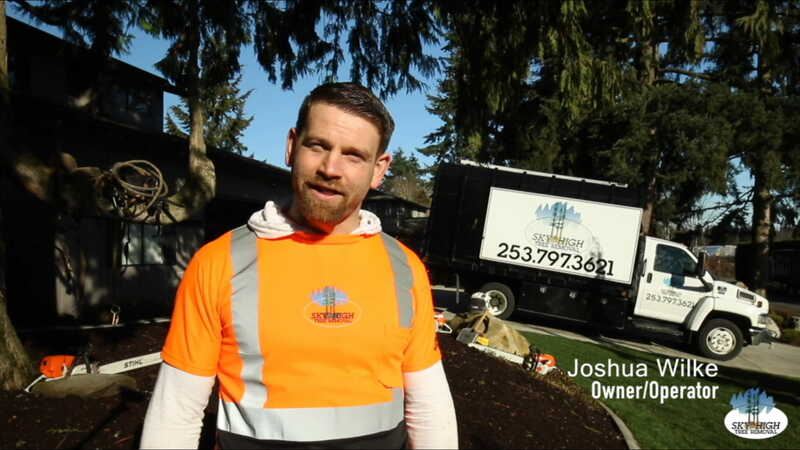 We specialize in tree removal for residential, commercial, schools, municipalities, new property management companies, home-owners associations, and federal and state projects. Licensed bonded and insured, with over 15 years of experience and a highly trained staff, we will guarantee safe and timely removal of the tree(s). Using a company with the right equipment and expertise keeps your nearby trees and property from becoming damaged during tree removal projects. Our equipment is maintained in excellent condition, insuring no oil drips on concrete surfaces. We remove damaged and dangerous trees. Our specialty is those challenging tight locations that only the most experienced tree companies will take on. Or maybe the tree is already down, possibly on a nearby structure. Using a crane we will remove the tree with low impact to the structure, landscape and surrounding homes or buildings. Once the tree is removed our attention to detail is unmatched. We will thoroughly clean up all limbs, leaves, debris and sawdust leaving your yard in a cleaner condition then when we arrived. On jobs where the wood chips are desired they can be left for ground cover. We offer 2 sizes of chippers for cleaning up your trees. For the smaller jobs we use a Type 2 chipper that will manage a limb up to 17 inches in diameter or for larger trees a Type 1 Chipper that can eat a tree up to 28” in diameter, often used for our commercial and forest service jobs. Let us remove your dead, diseased and dangerous trees making way for a safe environment for you. When the tree is down and removed we can safely remove any stumps in preparation for new landscape.